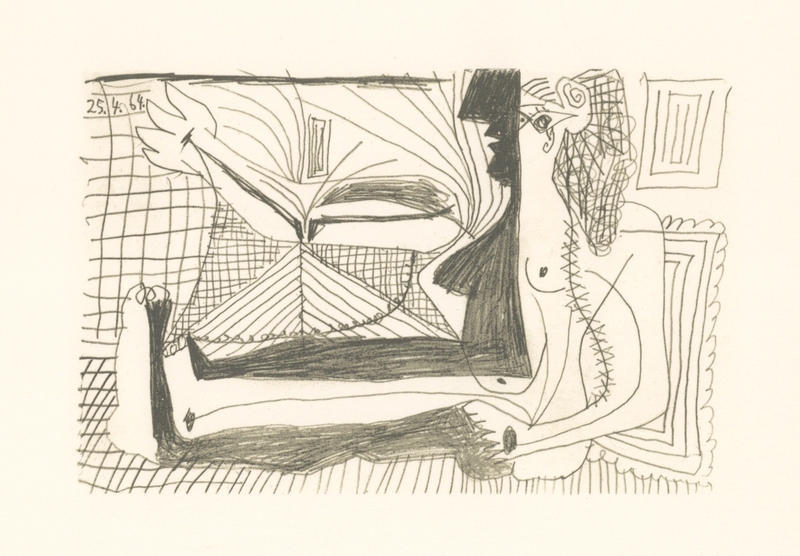 Pablo Picasso lithograph "Le Gout du Bonheur"
Medium: lithograph (after the drawing). 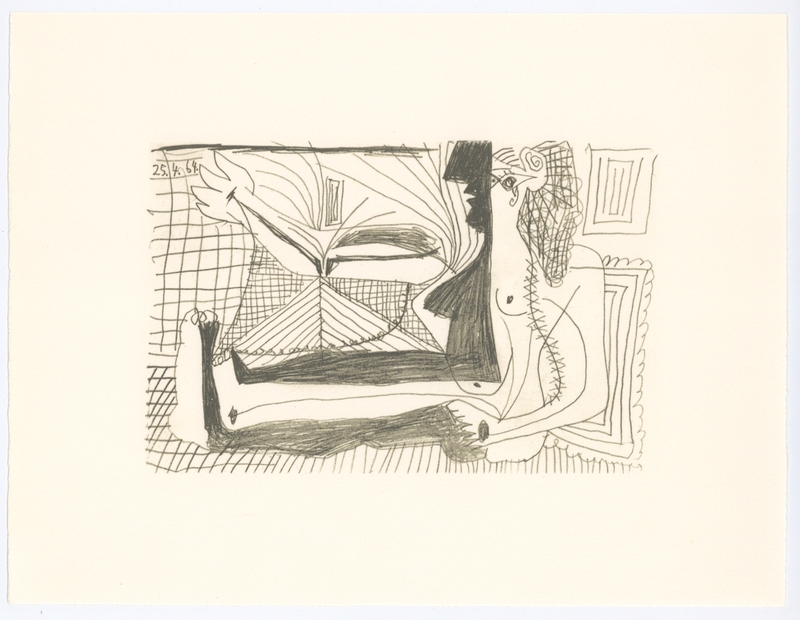 This Picasso lithograph from the "Le Gout du Bonheur" portfolio (the French title translates to "The Taste of Happiness") was printed in Munich in the studios of Guenther Dietz under the personal supervision of Picasso. It was published in 1970 in a limited edition of 666 by Editions Cercle d'Art and Harry Abrams. Printed on handmade Arches rag paper, the total sheet measures 9 3/4 x 13 inches (250 x 325 mm) and the image is 5 1/4 x 8 1/2 inches. Not signed. 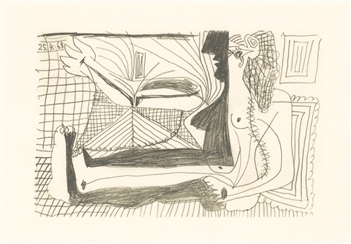 According to the publisher, these lithographs were made "through a unique process that employs the same type of materials as used by the artist, instead of the usual printing inks. Grease crayon, lithographic tusche, lead pencil and charcoal are among the artist's materials used". The result is a truly rich and lifelike impression!